« Day 506 In Beijing: Arrival at Village Cave House Hotel. 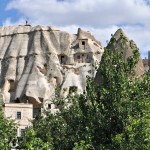 Day 507 In Beijing: Our First Day In Goreme, Turkey. Amazing that they park a car inside this garage. 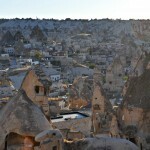 Jill and I unpacked our luggage and decided to walk around Goreme. It is a very small town, of maybe 4,000 people, and most have been here for generations. 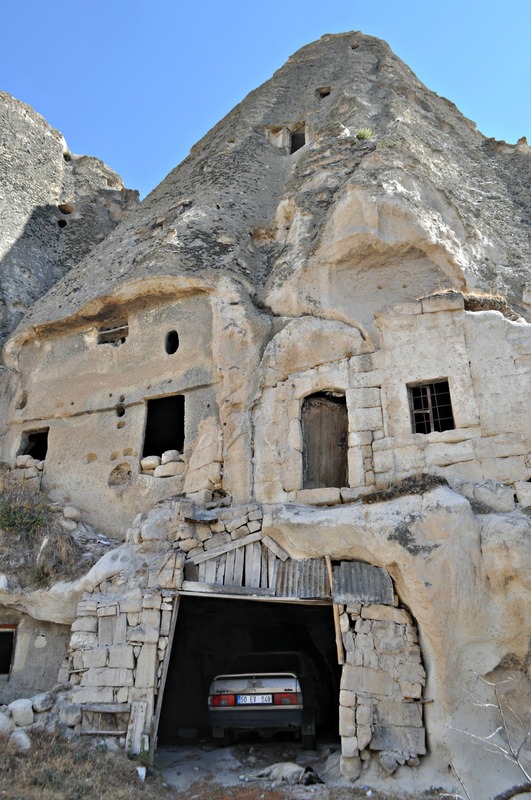 We talked to the Village Cave House Hotel‘s owner, Onur for a bit and then headed out down the hill. 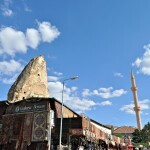 It only took about 5 minutes to walk into the heart of Goreme, which is mostly shops and stalls, selling all kinds of jewelry and memorabilia about Goreme and the fairy chimneys that are all over this area of Turkey. We went into a jewelry store and saw a gemstone that we had never seen before. It was called Zultanite and it is only mined, and sold, in Turkey. It was unlike any gemstone that we had seen because it changes color depending on the light. We saw, in about 2 minutes time, 6 different colors. The colors ranged from a light amethyst to dark green to rose to dark blue to purple. We continued walking around, as we wanted to get some wine, cheese and crackers to eat on our balcony and just relax and we saw many more rings with this gemstone in them. 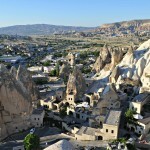 As we walked around, we noticed that there is a landing, and a platform, on top of the highest mountain in Goreme, and we decided to walk up to it. It was a very steep hill but it was more than worth it as we happened to find a couple getting married and were able to get a few shots of them kissing and celebrating. I love their shoes in the pictures! 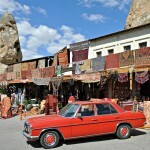 I love the rugs and the old Mercedes! Notice the person on top of the hill. 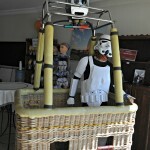 This stormtrooper greeted us as we set up our hot air balloon ride. The view from our window of another cave hotel. 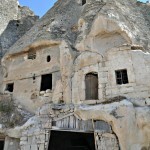 Lots of cave hotels all over Goreme. 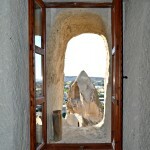 The view from the platform above Goreme. The photographer getting their first kiss.